Cookies are small data files placed on your computer, mobile or other device when you browse online. They are standard across almost all websites and they do not affect your device. They are used to remember when your computer or device accesses this website. We use them to collect information that's used to enhance your experience in our online store. Some of the cookies are essential to the effective operation of our website and to enable to you shop with us online. Cookies are also used to tailor the products and services offered and advertised to our customers, both on this website and elsewhere. Cookies store information that help you shop online. For example, cookies remember items you placed in your shopping basket – without them, you wouldn't be able to place your order with us. Some cookies collect information about browsing and purchasing behaviour when you access this website via the same computer or device. This includes information about pages viewed, products purchased and the customer journey around a website. In addition, cookies let us improve and personalise content displayed to you. Some cookies (known as session cookies) are removed when you close your browser. Other cookies remain on your computer longer. 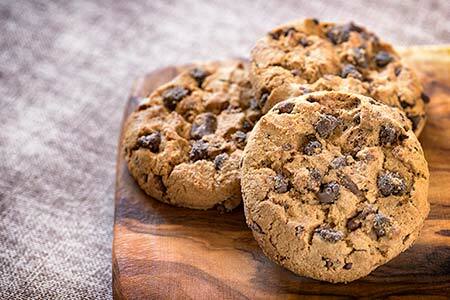 These cookies (known as persistent cookies) allow us to remember you when you return to shop with us again. Persistent cookies store information in between visits, such as your preferred settings. They help us display relevant information to you based on previous visits. In order to comply with EU legislation, we have listed each of the main categories of cookies below. The cookies in use are listed below. These cookies are necessary to enable the site's basic operation. No prior consent is required for these. These cookies are essential to the operation of our online store. If you disable these cookies, you will not be able to buy items online. These cookies collect visitor information such as browser usage, pages visited and error messages received. The data collected by these cookies is anonymous and aggregated. This information is used to help us to diagnose problems and to fix any issues we find. It helps us improve our website for you. Functionality cookies remember choices that you make. These choices could include changing the text size or the language in use on the website. Collecting this data means you won't need to select this information again. We will remember your preferences. Some of our business partners may set cookies on our website, these include Google, Celebros, Nosto, etc. Go to "Tools" menu and click "Options"
Click on "Under the Hood"
Select "Cookie Setting" and select "Block all Cookies"
Choose the menu "Files" then "Preferences"
We hope that you found our information useful. For additional information on cookies and what your choices are please visit either Your Online Choices: A Guide to Behavioural Advertising Online or All About Cookies.